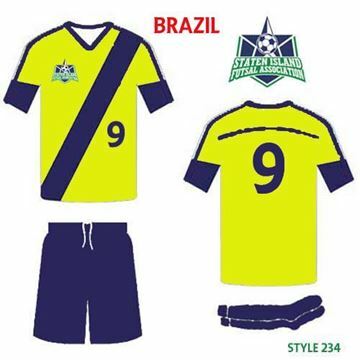 This custom made full uniform kit is specially made for Staten Island Futsal Association personalized as shown in the drawings. 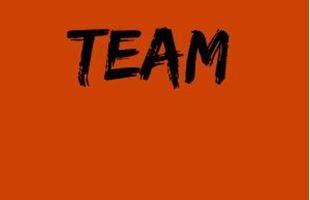 Please use the CONTACT US link below to let us know any additional information about your order. Satisfaction is guaranteed! 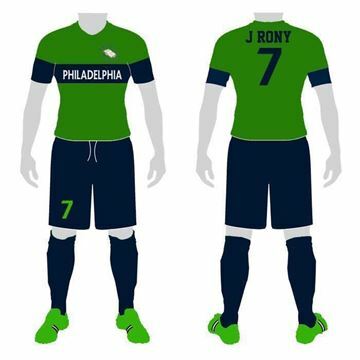 This special price applies to purchases of 18 kits (jersey, shorts and socks) that will be custom made to the colors of your choice and personalized with jersey numbers and logo. Satisfaction is guaranteed! 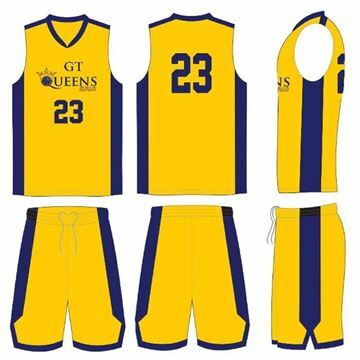 This basketball kit made to the specs of coach Adams for the GT Quins basketball team. 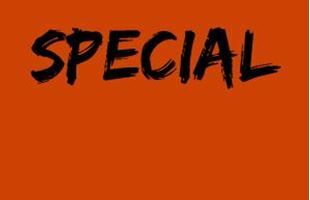 Orders of $465.00 and up have free shipping. Satisfaction is guaranteed! 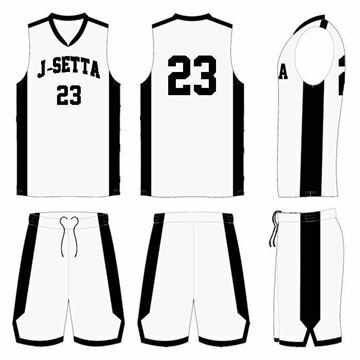 This basketball kit made to the specs of coach Victoria Goodman for the J-Setta basketball team. Orders of $465.00 and up have free shipping. Satisfaction is guaranteed! 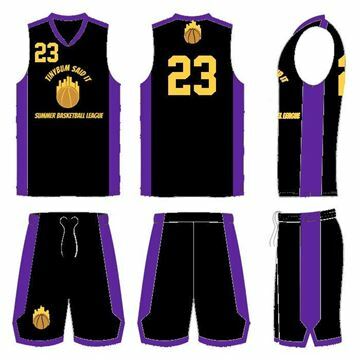 This basketball kit made to the specs of coach Marcus Vanderhorst for Summer Basketball League teams. Satisfaction is guaranteed! 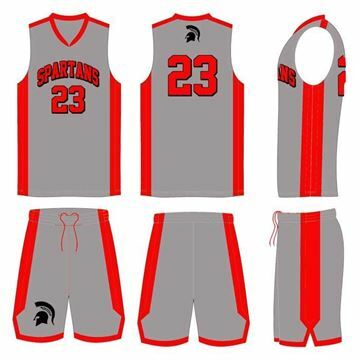 This basketball kit made to the specs of coach Juan Dovalina for the Spartans basketball team.Free shipping for orders of $465.00 and up. Satisfaction is guaranteed!